Low-light situations require superior glass and light gathering ability. Nikon’s new PROSTAFF 7 riflescope has all the features to ensure a successful hunt – especially in those crucial times near dawn and dusk. 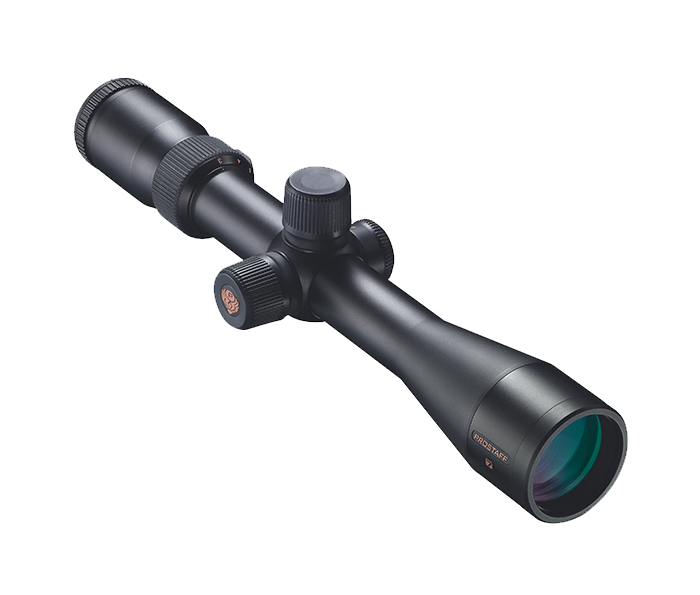 Built with Nikon’s high-quality Fully-Multicoated lenses, 30mm main body tubes and 4-time zoom magnification range, the PROSTAFF 7 riflescope is the latest winning product in the long line of Nikon Sport Optics. The PROSTAFF 7 riflescope has a 30mm main body tube that provides a wider maximum internal adjustment range (90-140 MOA depending on model), which is useful for dialing in the elevation and windage adjustments needed for long-range shots. The PROSTAFF 7 series, like all of Nikon’s riflescopes, are optimized for use with Nikon Spot On Ballistic Match Technology. Spot On allows you to discover all of the exact aiming points on your scope’s reticle at various yardages for your specific ammunition and load. Focusing the reticle is extremely easy and intuitive, thanks to the quick focus eyepiece. Simply turn the dial to adjust and instantly bring the reticle into sharp focus. PROSTAFF 7 riflescopes are Nitrogen filled and O-Ring sealed for complete waterproof, fogproof and shockproof performance. Reticle adjustments are made in ¼-inch click-stop moves you can both feel and hear, and with no backlash to make your shot creep off target. Positive click reticle adjustments get you zeroed in quicker and maintain your setting—even with repeated recoil and under rugged conditions. Whether the situation calls for a long-range shot or a close-range shot, the PROSTAFF 7 has you covered, thanks to a 4-time zoom ratio on all models. The PROSTAFF 7 sports Nikon’s Spring-Loaded Instant Zero-Reset Turrets that allow the user to return the turrets to the zero mark after sighting in, so that subsequent adjustments are simpler. Just sight-in as usual, then lift the spring-loaded adjustment knob, rotate to your “zero”, and reengage. Field adjustments are now as simple as dialing-in your subsequent ranges.